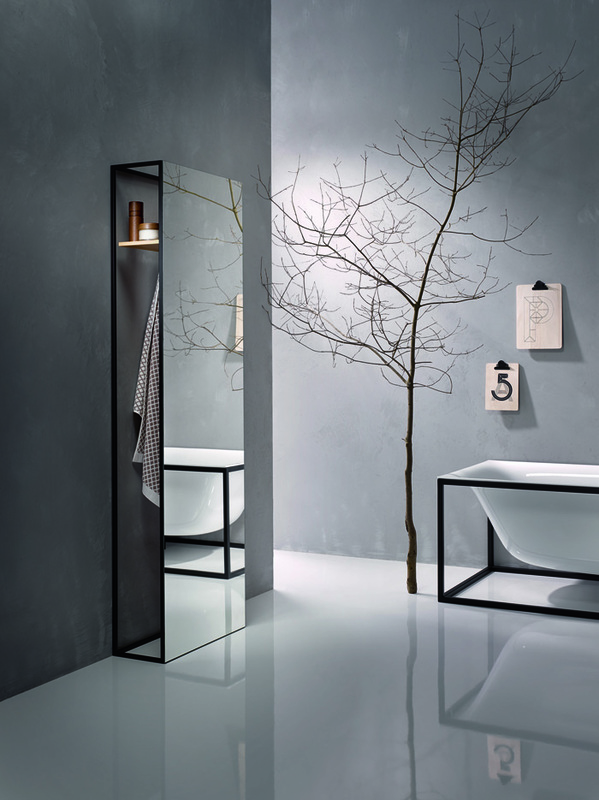 German brand Bette is adding feisty colour and shapely frames to bathrooms. All-white is so last decade! Bathroom design is often one of the most understated areas in the interiors arena. White has reigned as the colour of choice for so long, and although we've seen changes in materials and tweaking of shapes there has not been a great deal to excite the senses. German company Bette has changed all that with the striking BetteLux Shape range of baths, basins and bathroom furniture (from towel rails to stools and shelves), designed by Potsdam-based Dominik Tesseraux of Tesseraux + Partner. The addition of a simple elegant steel frame creates a sense of lightness and modernity with added wow factor. The Mondrian-like rectangular frames come in different finishes to either complement or contrast with baths and basins.